Yeah pretty boring right! 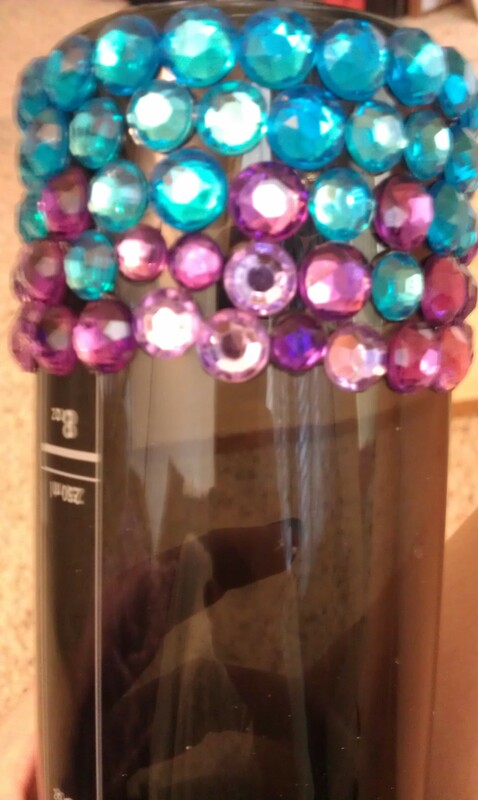 I decided to spice it up a little and add some colorful bling. 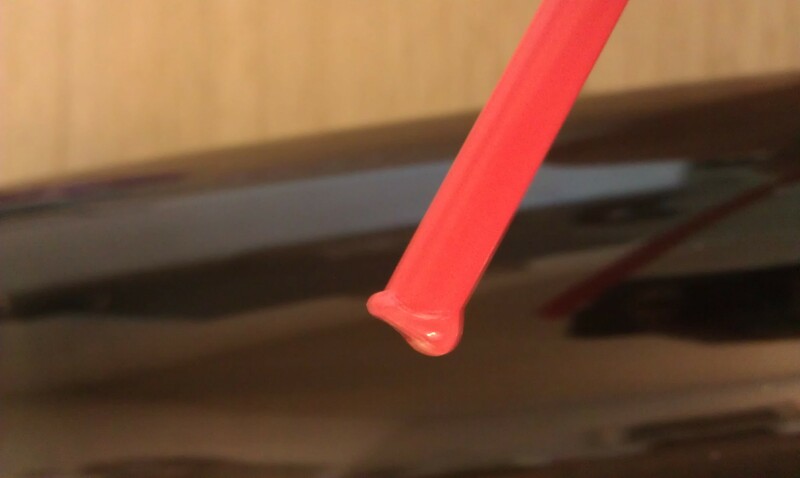 Just to the bottom though because I didn’t want to feel it under my hands while drinking it. I know I’m weird. Anyways! Here is what you need and the steps. 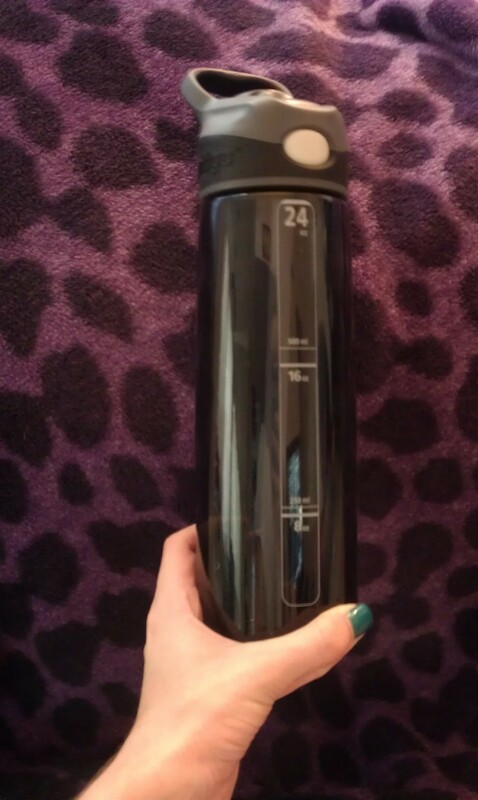 Step 1: Make sure your bottle has been hand cleaned the the top removed. 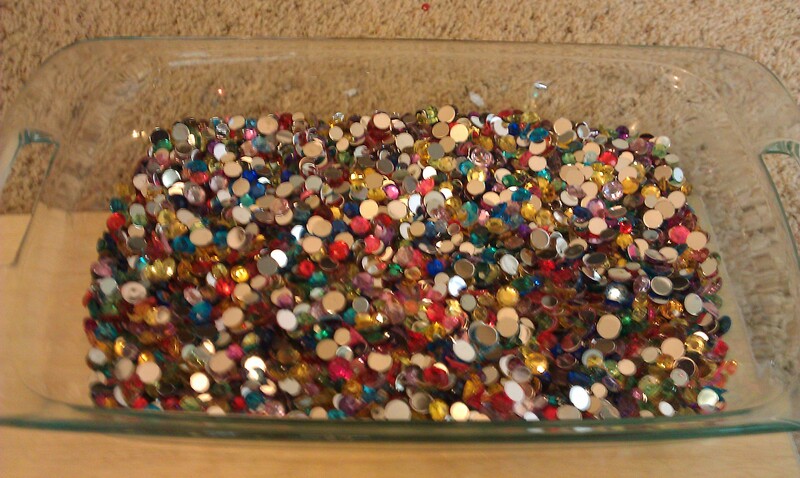 Step 2: Sort out 2 or 3 colors you want to use. Get the kids to help with this part, it can be a pain! 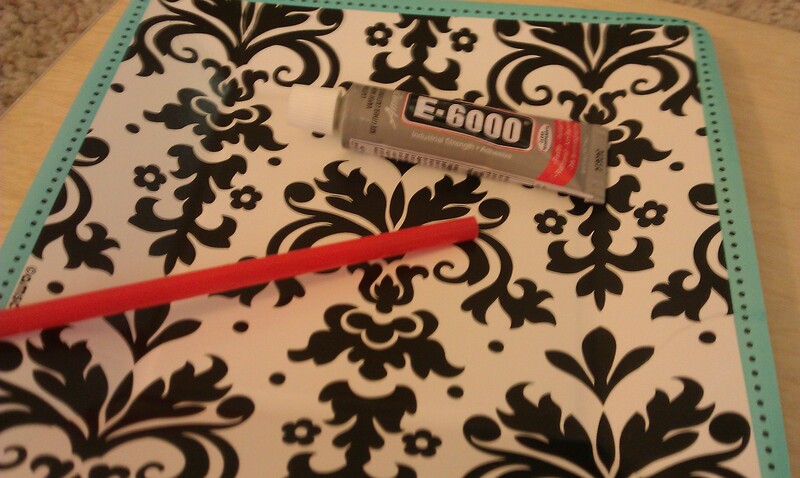 Step 3: put some E-6000 on the plate and dip straw into the glue. 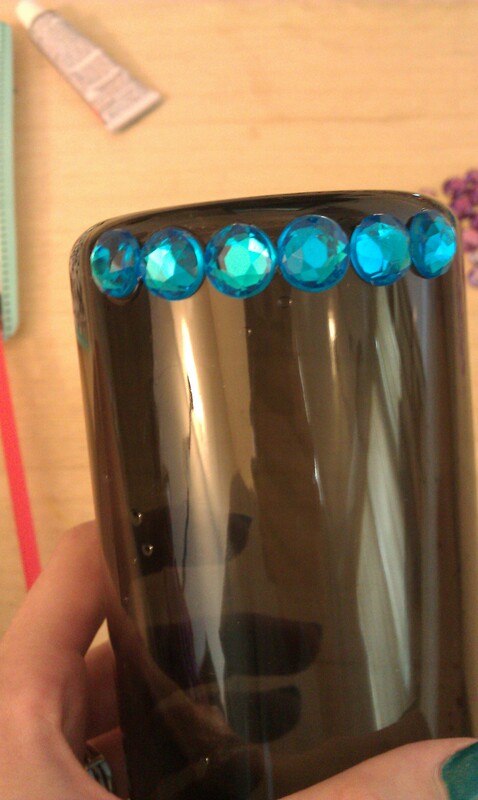 Step 4: place glue on the back of the first color of bling you want to start with. 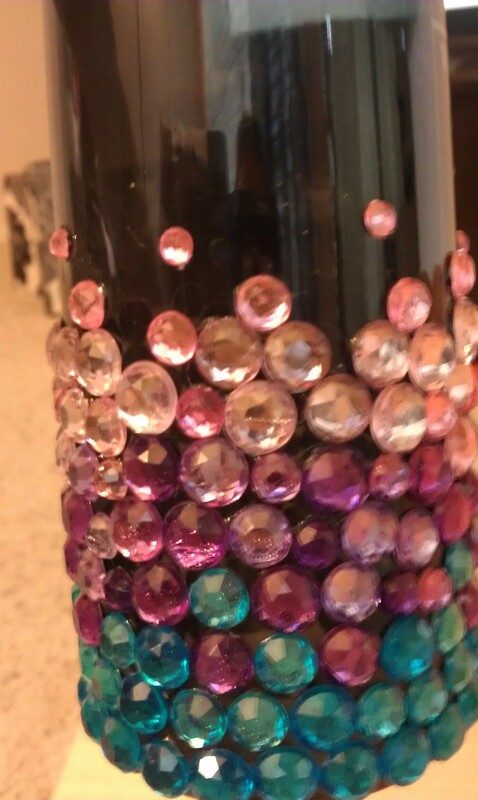 Then press bling onto the very bottom of the water bottle. 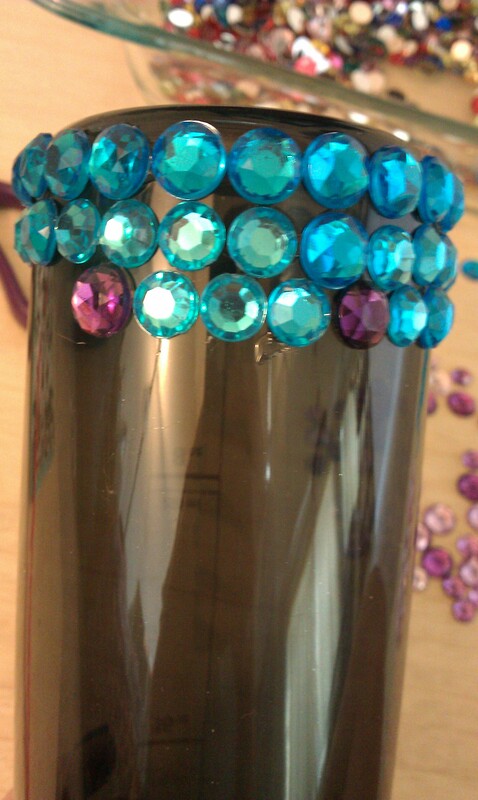 Step 5: create a row of bling in one one color and size all around the bottom of the bottle. This way this will be your darkest and most uniform color. 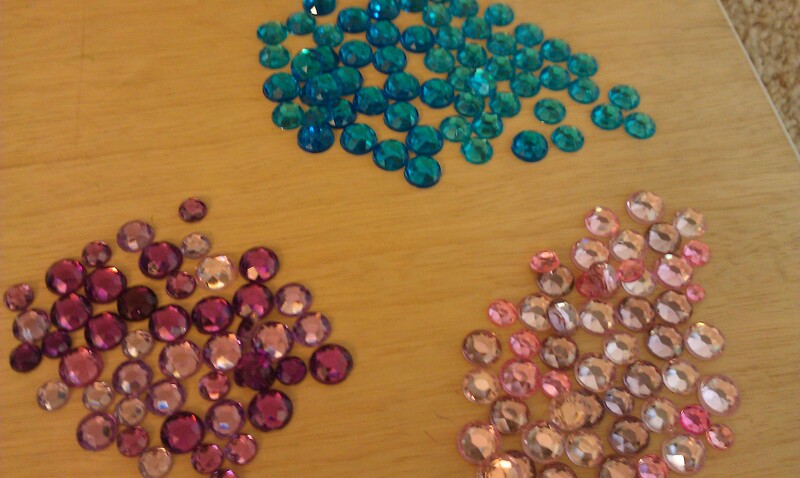 Step 6: when you get to the second or third row start to incorporate the other color in a few pieces at a time. Step 7: Then when you are ready to transition more into the other color start to add less of the first and more of the second. 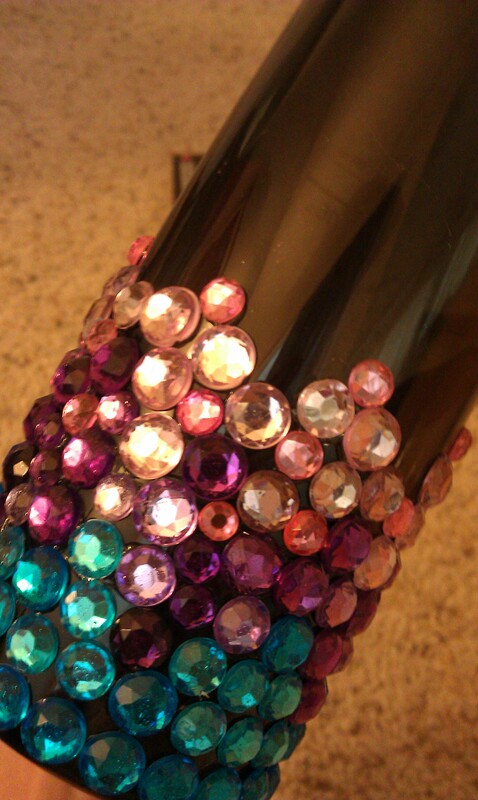 Step 8: Repeat by having a row of solid colors and then transitioning into the next color. Try to use different size pieces as your move on so that the pattern looks more random and not so stripey. 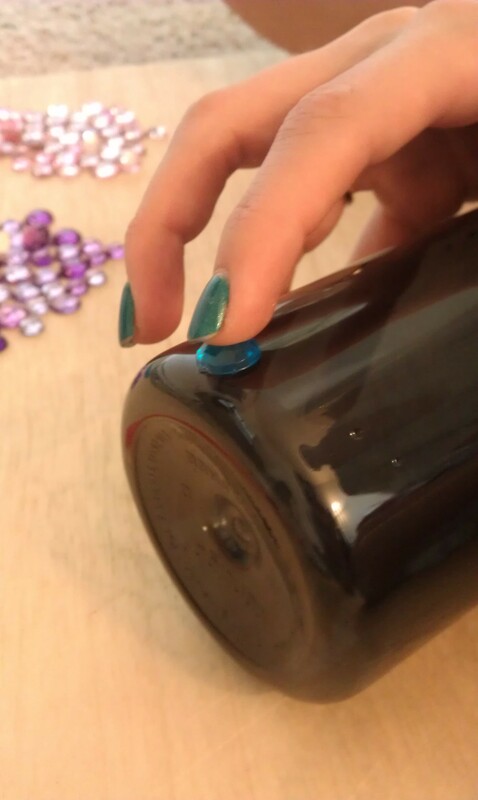 Step 9: when you are almost done start to make peaks with smaller pieces on top. When your all done it will look something like this! 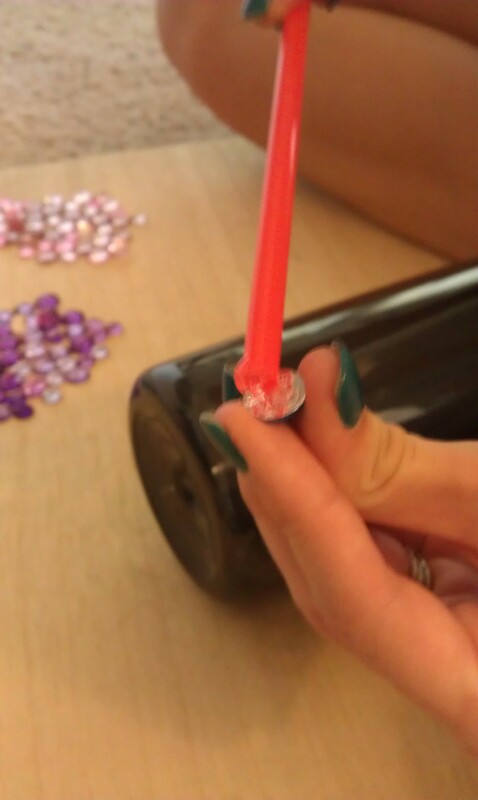 Note: Let it sit for 24hrs undisturbed to let the glue set. Tada! 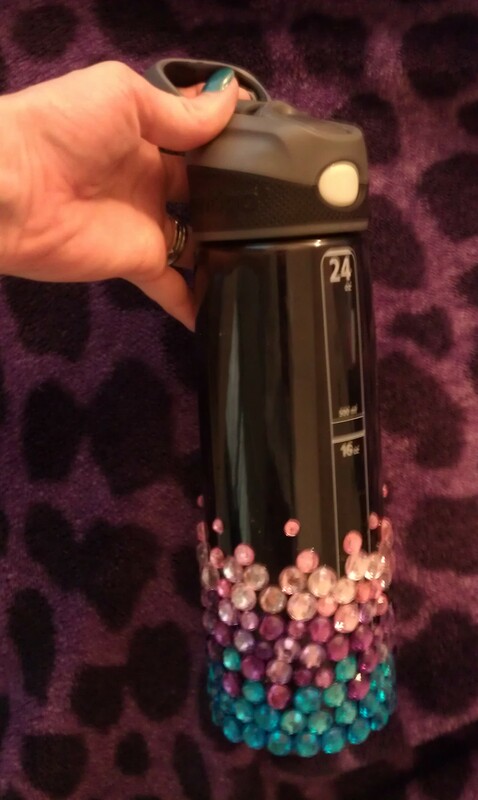 Now be the envy of your jogging/work out buddies with this fun blingy ombre water bottle!! !